FRESH Med’s Wellness Consultant, Carly Brand, explains the health benefits of green spaces and shares five initial tips to consider when starting an urban garden of any size. Ironically, the massive industrial growth that has captivated our planet is now paralleled by a contrasting trend: a growing obsession with green. We want to drink green smoothies and juices, wear green clothes and cosmetics, peruse green buildings and eateries. These might be superficial desires (often are! ), but we know that beyond the materialistic, we as humans have an innate need to connect with nature. With that said, connection with nature won’t get any easier. The United Nations World Urbanization Prospects predicts that 66 percent of us (assuming you’re also human) will be urbanites by 2050. But simultaneously, current research continues to suggest that we need oases in these concrete jungles. One study from Dutch scientists found “a lower incidence of 15 diseases—including depression, anxiety, heart disease, diabetes, asthma, and migraines—in people who lived within about a half mile of green space” National Geographic, This is Your Brain on Nature. And that’s why our favorite facet of the green trend is green space. So how do we at FRESH find it in New York, the United States’ most densely populated city? We create it ourselves! Yep, Urban Gardening is positively FRESH. 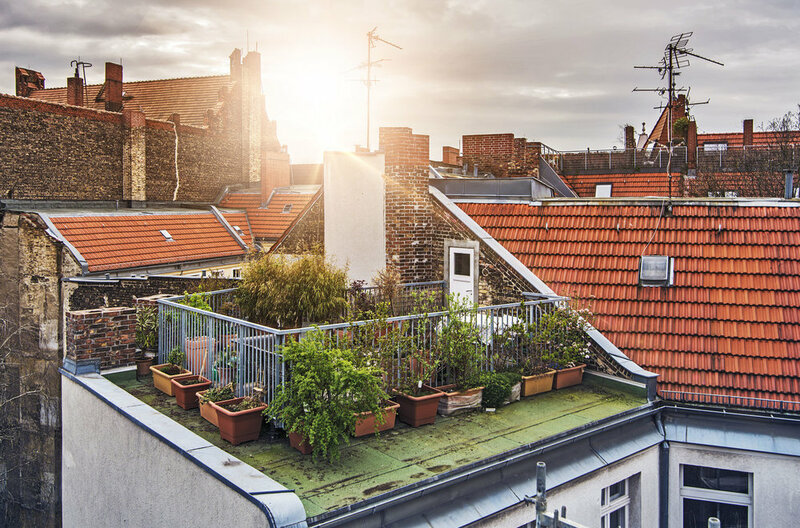 Whether it’s a single, impulsively purchased aloe plant on your windowsill, a high-tech hydroponics greenhouse, or a rooftop garden – scale isn’t important. Small or large, our wellbeing only needs some regular dose of nature. If you’re the type to kill the hardiest of cacti, don’t go anywhere just yet. Dr. Graham wasn’t exactly varnishing a green thumb after school during his childhood in Queens. And though Julie grew up in the slightly less industrial city of Buffalo, she was no natural-born horticulturist. 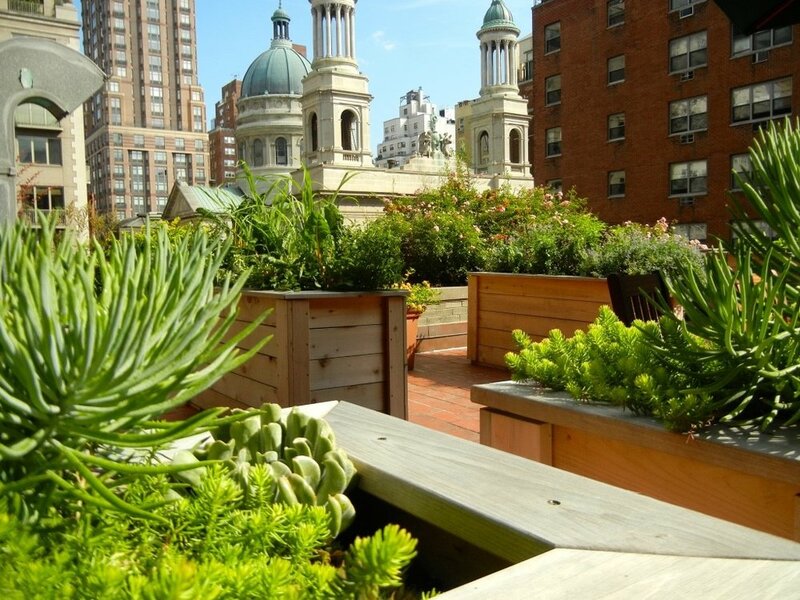 Yet in June 2013, Julie and Dr. Graham created “Victory Greens,” the first educational and edible rooftop garden at a hospital in New York City. 1. Understand, respect and work with what you got! Don’t try to fit a square peg in a round hole. Do you have a sunny, calm courtyard with deep, raised beds? Or a damp, cramped corner in your sublease? You can’t make one the other, but you can still find the way to get your green on in both. 2. Plan your initial course of action to avoid the haters. These can include, but are not limited to: angry roommates (solution: keep it organized and stylish), the merciless hand of the law (solution: if you’re going big, sort out those building permits beforehand). 3. Research the best plants to grow indoors, in a greenhouse/sunroom, or outdoors. Take care when you’re in the great outdoors—there’s a big difference between sea level and sky level! 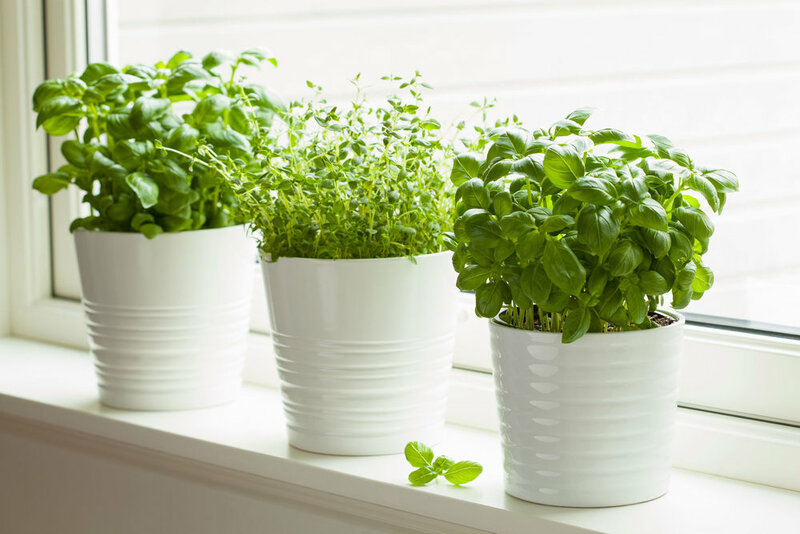 Herbs like basil, thyme and fennel as well as leafy greens usually aren’t afraid of heights and should do well at sky level. 4. Choose your soil, fertilizer and seeds. Rooftop growers, beware. The building beneath the Brooklyn Grange bears almost one million pounds of soil – and that’s when it’s dry! The point is, soil can start heavy and get heavier. As an urban gardener, you should aim to be less “bring the house down” and more “raise the roof.” We recommend checking out a guide like this one to learn about your options for soil, choosing organic fertilizers (such as compost, seaweed, earthworms) and searching for seeds which will stick with you for the long haul. 5. Give the plants what they want! Sticking with the party analogy, you’ll want to treat your plants like guests and figure out what they’ll need to have a good time. Lots of sunlight, not much water? And like a good host, you’ll have to learn to adapt. If the sun’s not out (say, in winter), try grow lights.